This Holy Saturday, Christians ponder on the silence, darkness, and death of Jesus Christ. 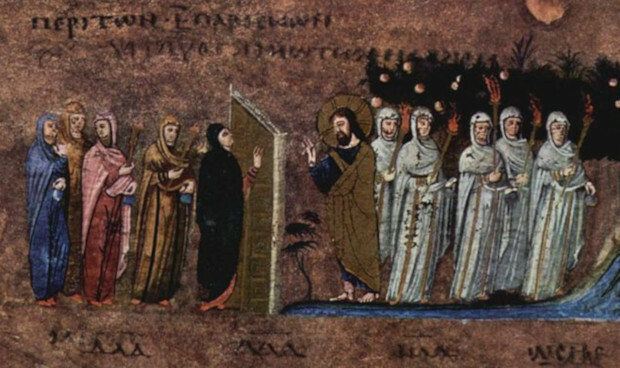 Part of this tradition can include that story of Jesus' Harrowing of Hell where he descended into the lowest parts of earth and hell to overcome them. 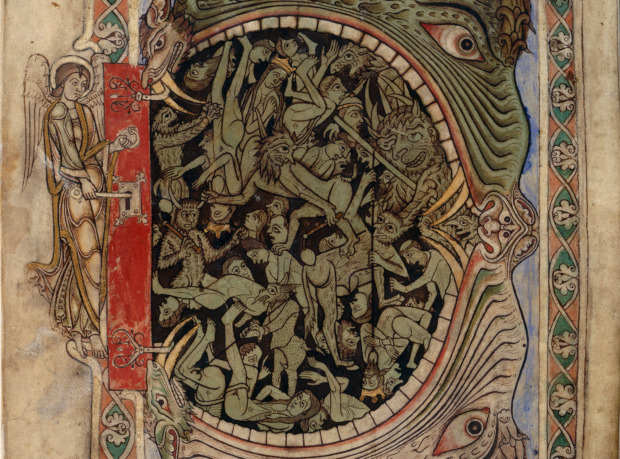 This symbolizes the overcoming of the monster death and unlocking hell to free its prisoners. Transhumanism is (or should be) as much about technology's possibilities as it is about its risks. The history of mankind is filled with examples of technology rising us above death and sin while also being able to drag us down into death and hell. The Mormon Transhumanist Association affirms that "We feel a duty to use science and technology according to wisdom and inspiration, to identify and prepare for risks and responsibilities associated with future advances, and to persuade others to do likewise." Holy Saturday provides an opportunity to reflect on whether we are using our tools and technology to perpetuate the suffering of death and hell - darkening the light in this world, or whether we accept our responsibility to relieve suffering. Death, hell, darkness, suffering, captivity & life, salvation, light, peace, and freedom. These two worlds lie in front of us. Jesus showed us the choice of life, calls us to unlock the captives, and gives us the example to resurrect our dead. Our tools can be part of the key to overcoming death and hell. Even in our darkest times, or in the silencing of human faith and trust, Jesus showed us how to turn the key and bring salvation to humanity as he calls us to join him even through darkness, through death, and through hell in order to redeem and overcome it. Among the things contemplated this Good Friday are the events of Jesus' last moments: broken bread, betrayal, suffering, crucifixion, darkness, and burial. "The communion or sacrament is the moment when Christ breaks bread and shares wine with his apostles shortly before being taken by the Jews. These two symbols - the taking of communion, the dying on the cross - are, arguably, the two greatest, most universal symbols of Christianity. These are the two moments that every sect, every denomination must incorporate into their theology and must return to again and again for insight, for purpose, and for meaning. As Mormon Transhumanists, another iteration in the great, ever-branching story of Christianity, we too must incorporate, wrestle with, and seek to understand these two great symbols. Furthermore, transhumanism is a story about the methods that we humans use to accomplish our ends, a story about the history of mankind, and what we are pursuing and what we have inherited: a story that looks to our past to predict our future. As Christian transhumanists, surely there must be a lesson to learn from this weird, wonderful, miraculous story of Jesus Christ slain and risen again. Today I want to well you a technological re-interpretation of the end of Jesus' life: a transhumanist morality tale about the choices humanity made long before Christ came to earth. I want to tell it to you as a story of how these two moments came to be: how the bread came to be and how the crucifixion came to be." The rest of her wonderful impressions can be viewed here (video jumps to 2:40 where she makes the statement above). "[Jesus] got up from the table, took off his outer robe, and tied a towel around himself. Then he poured water into a basin and began to wash the disciples’ feet and to wipe them with the towel that was tied around him. He came to Simon Peter, who said to him, “Lord, are you going to wash my feet?” Jesus answered, “You do not know now what I am doing, but later you will understand.” Peter said to him, “You will never wash my feet.” Jesus answered, “Unless I wash you, you have no share with me.”"
"After he had washed their feet, had put on his robe, and had returned to the table, he said to them, “Do you know what I have done to you? You call me Teacher and Lord—and you are right, for that is what I am. So if I, your Lord and Teacher, have washed your feet, you also ought to wash one another’s feet. For I have set you an example, that you also should do as I have done to you." 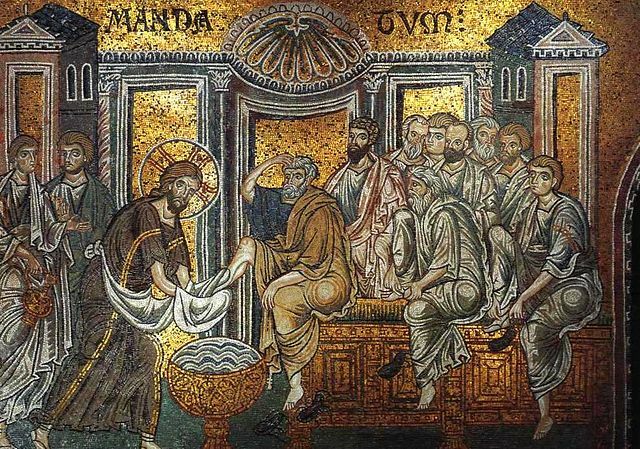 On this Maundy Thursday (Maundy from Latin 'mandatum' meaning 'command' or 'order') we reflect on the command of Jesus as he washed his disciples' feet as an example of we 'ought' to do. This act of deep humility and vulnerability stands in stark contrast to the mode and method of power so dominant in humanity. Here, Jesus removes his robe - an act of vulnerability exposing his humanity, puts himself below his disciples, and carries out a task often thought to be demeaning or beneath him. 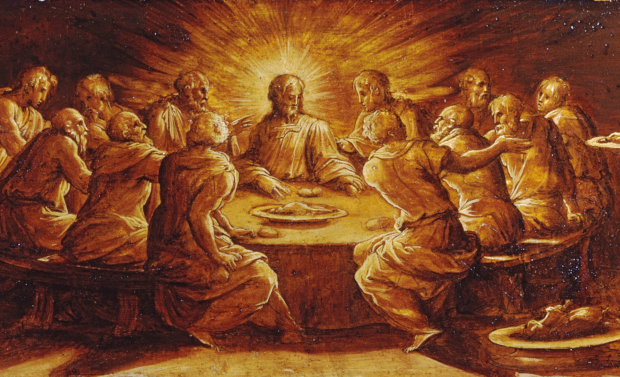 This scene, along with others surrounding it in the Last Supper, sends a powerful message. The Mormon Transhumanist Association affirms that "We practice our discipleship when we offer friendship, that all may be many in one; when we receive truth, let it come from whence it may; and when we send relief, consolation and healing, that raises each other together." Transhumanism is, rightly, focused on technology's role in impacting and transforming the human condition. This effort should cause us to pause and ask what in humanity is not only worth redeeming into our future but what of our humanity may be a source of redemptive power. What role will the paradox of powerful human vulnerability play in humanity's future? Will our tools and technologies inherit an aesthetic and bias towards dominating power structures? Or will we instead use our tools and technologies in a way that can lead us to deep acts of humility in how we serve one another? 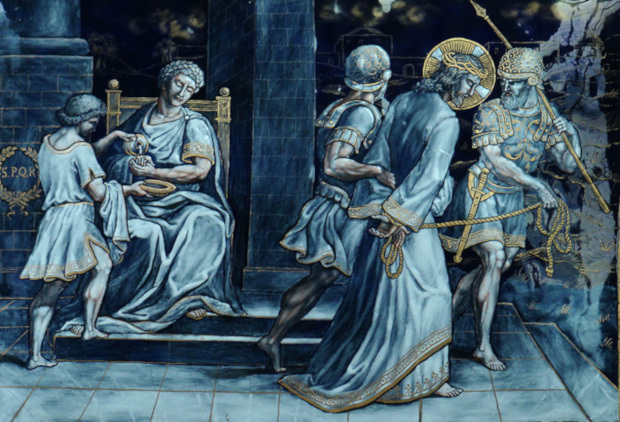 While Palm Sunday and Holy Monday renew faith in and hope for the triumph and glory of Christ in this world before the darkness of Holy Tuesday, Holy Wednesday is traditionally a time to ponder on the betrayal and condemnation of Christ in this world. As told in the Gospel of Luke, when Pilate sought to appease the crowd to perhaps spare Jesus (and a possibly bad political situation for him) "They kept shouting, “Crucify Him! Crucify Him!” (Luke 23:21). In many Christian churches on Holy Wednesday, the congregation plays the part of the the crowds shouting "Crucify Him!" This ritualistically evokes an introspection on the part of participants to ask themselves how they crucify Christ in their lives. How do we crucify the Christian principles of charity and love? Do we crucify our love and humanity for political or monetary gain? 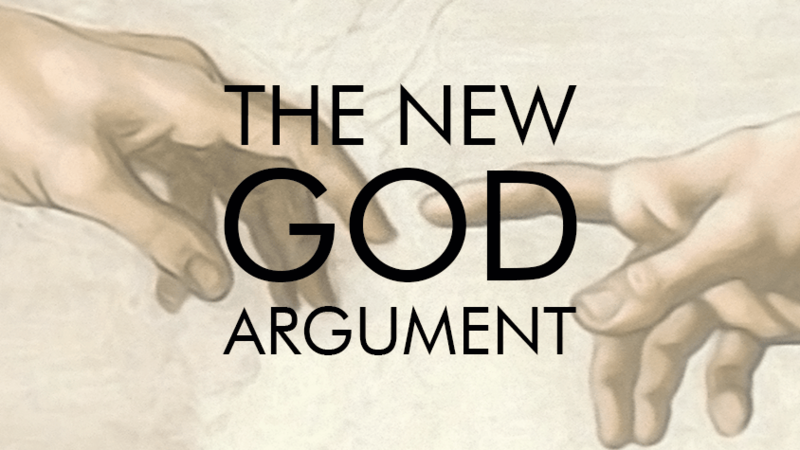 Are Jesus' calls to love our neighbors and enemies seen as a threat to our dogmas or ideologies? 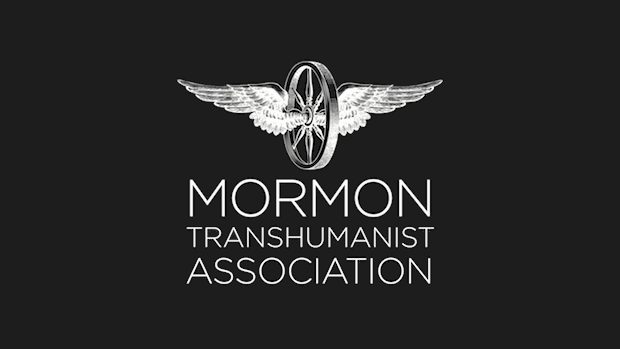 The Mormon Transhumanist Association is an advocacy network for ethical use of technology and religion to expand human abilities. And we affirm that "We feel a duty to use science and technology according to wisdom and inspiration, to identify and prepare for risks and responsibilities associated with future advances, and to persuade others to do likewise." Transhumanism is (or should be) as much about the question of ethical or moral use of technology as it is about technology itself. On this Holy Wednesday, we can ask: How do we use our technologies in a way that crucifies the Christian principles of charity and love? Do we crucify our love and humanity in the ways we use technology for political or monetary gain? Are Jesus' calls to love our neighbors and enemies seen as a threat to our technologies or their use? If we are to seek to ethically use technology and religion to expand human abilities as we model Jesus' principles of charity we must not join in the voices and forces of this world that would shout, "Crucify Him! Crucify Him!" On Holy Tuesday, many churches reflect on the image of Christ as Bridegroom. 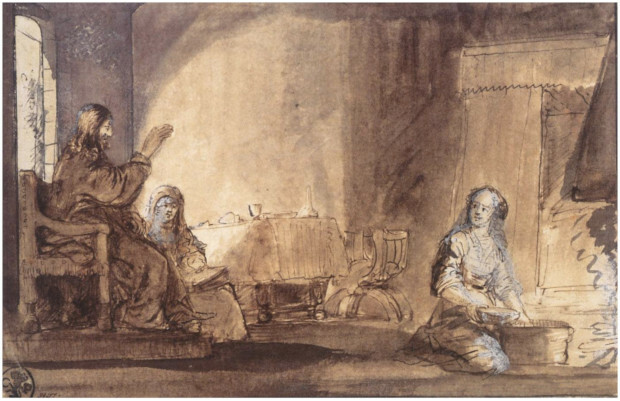 The intimate relationship of marriage is used throughout Jewish and Christian scripture. Perhaps we find this image so powerful because of the closeness, intimacy, vulnerability, and humanity that it brings. It brings front and center the reality and centrality of relationship and how the image of Christ can emerge from relationship. Technology is a powerful tool for human relationship. Indeed, one can view technology as essentially a relationship tool. Fire, tools, farming, trade, economy, etc, all have had transformational impacts on human relationships. But technology is not inherently good or evil. Fire can unite and protect, but it can also destroy. Tools can provide safety and ability, but they can also be turned into weapons. Farming can grow a community and (throuh silos) protect against times of famine, but it can also produce oppresive power structures. Trade and economy can support complex and diverse societies, but it can also create crushing poverty and oligarchies. The difference in whether tools destroy or unite is not the technologies themselves but how we choose to use them. Will we use technology in ways that fray or sever relationships? Will we use our technologies to put self above other? Or will we turn to images like Christ as bridegroom and find ways to have our technologies build strong, charitable relationships that allow for vulnerability, intersubjective love, and a closeness that can heal what can sometimes be a isolated world. On this Holy Tuesday, we can reflect on our tools and technologies and how they can reflect and sustain the life of Jesus and the relationships that support and define our humanity and divinity. This Palm Sunday our hearts and minds turn to Jesus’ triumphal entrance into Jerusalem. 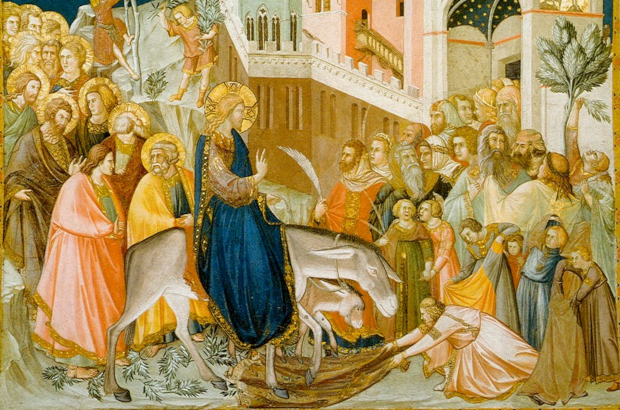 Crowds treated his entrance into Jerusalem as that of a King – entering on a donkey as a token of peace. In that age’s Messianic culture, this was largely seen as political potential: a Messiah to throw off the subjugation to the Romans to fulfill prophecy. Jesus would define a new kind of Kingdom. On Palm Sunday, many enact, symbolically, this entrance by the use of palm fronds representing this spirit of victory, triumph, peace, and eternal life reflecting on Jesus’ vision of the Kingdom of God. The Mormon Transhumanist Association affirms that “We believe that scientific knowledge and technological power are among the means ordained of God to enable such exaltation, including realization of diverse prophetic visions of transfiguration, immortality, resurrection, renewal of this world, and the discovery and creation of worlds without end.” On Palm Sunday, as we reflect on Jesus' triumph over death and sin, we also reflect on the triumphs of our tools and technologies which make us participants in and recipients of this triumph. Many of these tools and technologies have typified the works of Jesus as they allow us to help the crippled walk, the deaf hear, the mute speak, the blind see, the fever be rebuked, and even resuscitate the dead. We welcome all technology which comes in peace, triumphant, and able to help establish God’s Kingdom on earth.